This unique bed features a curved panel structure designed with radiant wood hues that perfectly complement the modern style. A squared-off silhouette with straight edges and the strikingly unique footboard will appeal to the most minimalist of users. 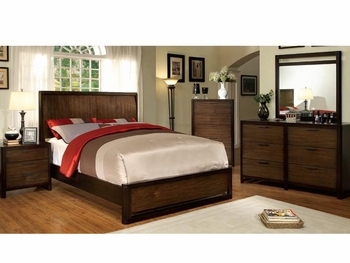 Modern Style Platform Bed Detailed Wood Grain Available In Various Sizes Felt-Lined Top Drawers Solid Wood, Wood Veneer & Others Tobacco Finish.